The following photographs were taken along the Loddon River near Newstead in the late 1940s. 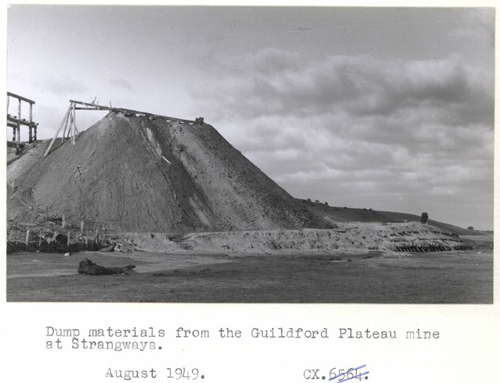 Guildford Plateau mine near the Loddon River at Strangways, August 1949. 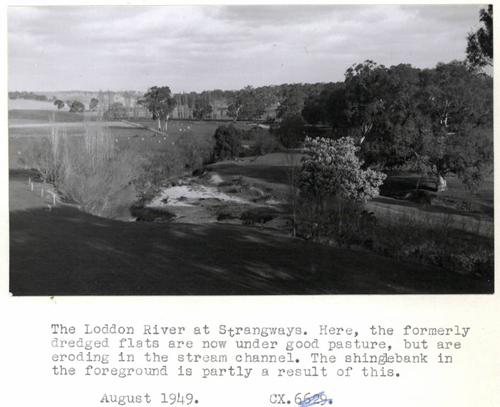 The Loddon River @ Strangways, August 1949. 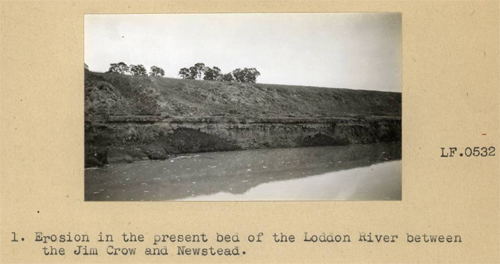 Loddon River between the Jim Crow Creek and Newstead, undated. This site appears to be downstream of the current highway bridge. 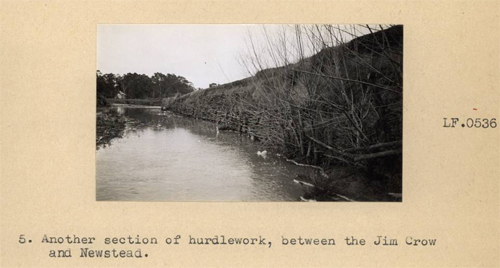 Restoration works on the Loddon River @ Newstead, undated. 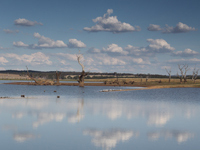 The Loddon River just above Muckleford Creek, undated. 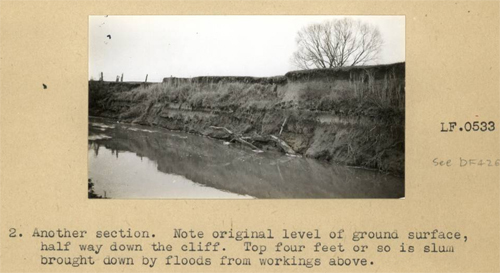 Loddon River between Guildford and Newstead, 12th February 1946. 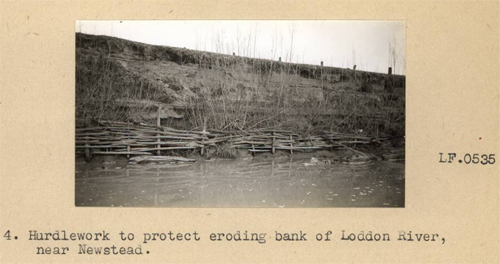 Loddon river downstream of Guildford, 2nd October 1946.